The 32 oz / 1L glass carafe with azure blue plastic lid Ypsilon Brio Bormioli Rocco comes from a simple, durable and functional range of tableware. 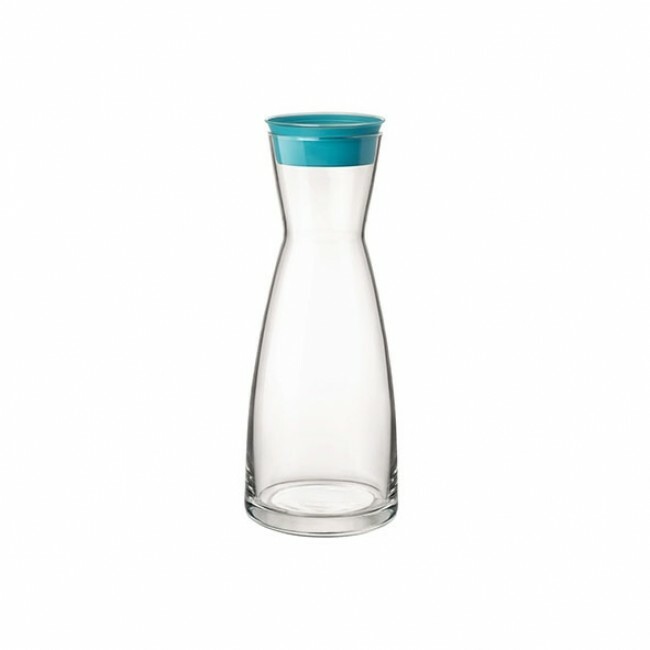 Serve a carafe of water, a carafe of juice or lemonade to your dear ones using this pretty Ypsilon Brio Bormioli Rocco soft drink container. With its azure blue lid, your drinks will be better stored in this 32 oz / 1L Ypsilon Brio glass jug, and you can even prepare them in advance and store them in the refrigerator.